Armona’s DPA/HSEQ Manager “Serdal Sağır” & HSEQ Coordinator “Çağla Şen” visited Atlantis Augusta on 25.03.2019 in Rotterdam, Netherlands while the vessel was at lay-by buoy. 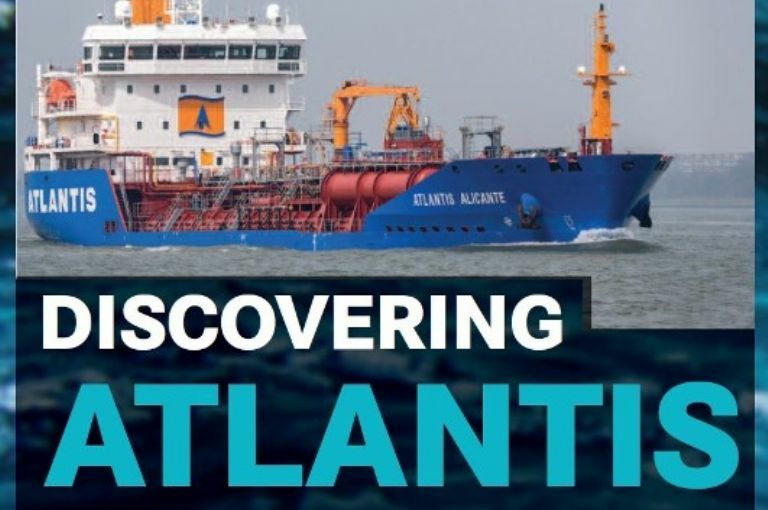 They have also visited Atlantis Antalya on 26.03.2019 in Terneuzen and Atlantis Alhambra on 27.03.2019 in Rotterdam. 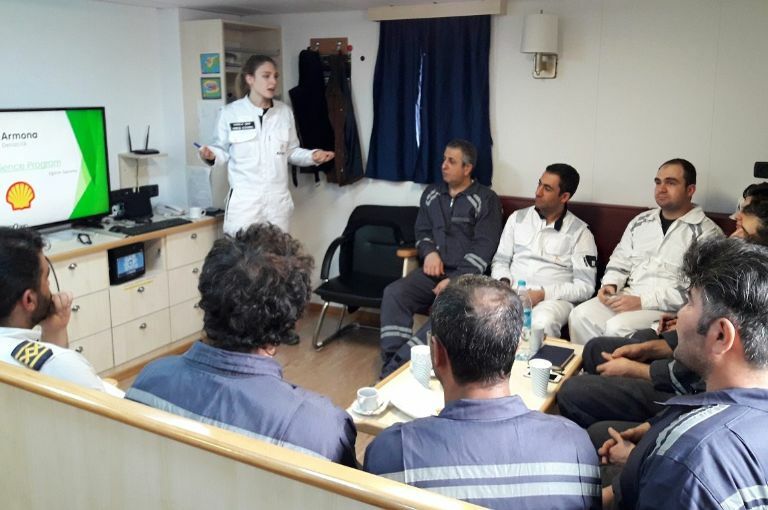 The HSEQ Coordinator gave the “Gratitude” module in detail within the scope of Shell Resilience Trainings, after an overall refreshment training was provided to the crew on every module within the Resilience Program as well. Examples and industry related scenarios were emphasized and the Resilience concept was explained once more for better familiarization of the Resilience Program. The trainings were interactive, also encouraging the crew to think back and share their gratitudes and aspects that they are thankful in their lives. 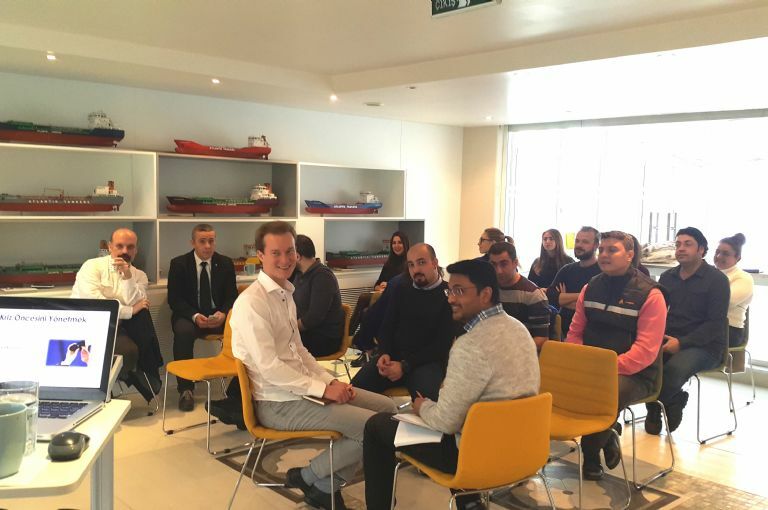 The outcome and feedback received from the vessel personnel who participated in the training session was constructive and positive overall. Atlantis Tankers’ Director Marlon Weinstabl was interviewed by Andy Probert about the importance of consolidation and the need for the market to reduce tonnage to help revert low freight rates. Or alternatively the Jan/Feb hardcopy of InsideMarine’s Magazine can be bought over their website. Armona Denizcilik's Deputy CEO participated in Shell's Maritime Partners in Safety Conference 2019 at the Hilton in Rotterdam. This year's theme was "Leadership: Deepening Your Impact". Armona's Deputy CEO conducted a safety visit to the Atlantis Antibes in Rotterdam, Netherlands. Armona's Deputy CEO conducted a safety visit to the Atlantis Alicante in Rotterdam, Netherlands. 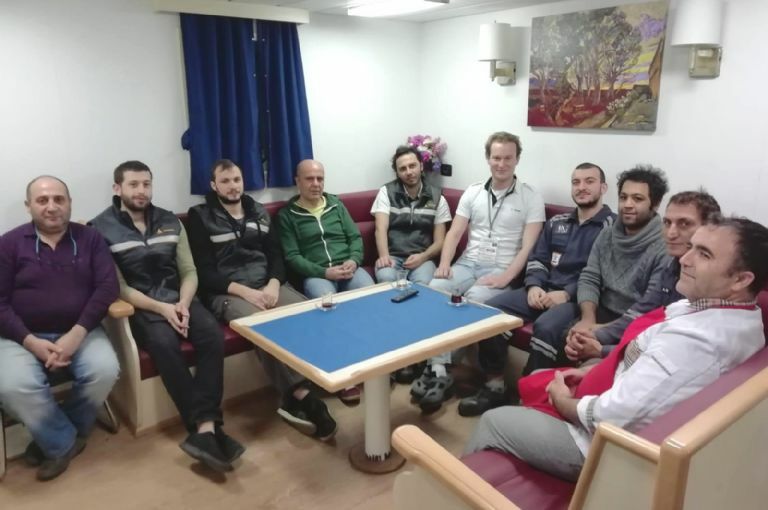 The Armona Denizcilik & Atlantis Tankers family celebrated the upcoming New Year of 2019. It was the second celebration in our new office. Drinks were served at the bar on the 6th-floor terrace and Schnitzel were prepared by Burcu Restaurant. The festivities started at 15:00 and lasted till 21:30. A mixture of international charts and nostalgic Turkish music set the scene for some excellent dancing. We want to thank all of our hardworking and loyal staff for their achievements and willpower they have shown in 2018. On behalf of the Atlantis/Armona family, we wish you a healthy, safe and prosperous 2019!